A judge handed down a nine year sentence to Sherman Luke Bellegarde who killed his girlfriend, Lauren Darnell Quewezance, in 2016. Sherman Luke Bellegarde had two prior convictions for assaulting his girlfriend, Lauren Darnell Quewezance, before he finally beat her to death on a dark road in December 2016. Bellegarde pleaded guilty to manslaughter and was given a nine year sentence, minus 3.5 years credit for time served, earlier this month in Fort Qu'Appelle. He was also given a lifetime firearms ban and must submit a DNA sample. "Mr. Bellegarde admitted in his Pre-Sentence Report (PSR) that Lauren had made a total of six complaints to the police about him assaulting her," the sentencing documents for Bellegarde read. "He also admitted a history of domestic violence in his prior common-law relationship with a different woman." Bellegarde was convicted of assault causing bodily harm in 2011 and common assault in 2014. Bellegarde was arrested in Dec. 15, 2016 after Quewezance's body was found on a back road during the early morning hours. 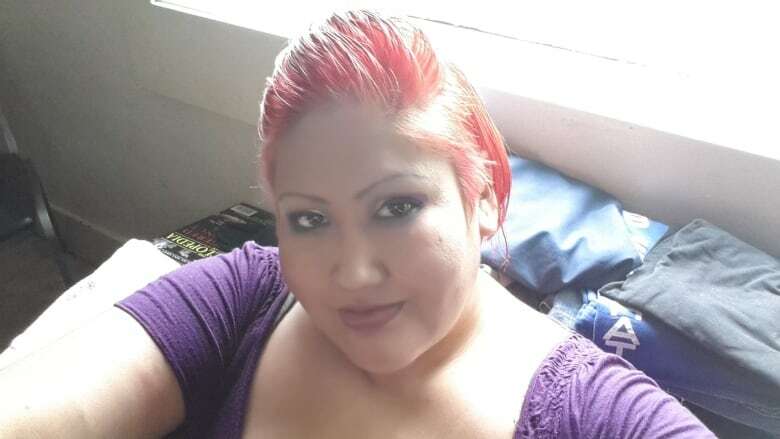 Quewezance died from blunt force trauma to the head, injuries sustained when Bellegarde stomped on her head multiple times while he was severely drunk. Crown prosecutors had asked for an 11 year sentence while Bellegarde's defence suggested an 8 or 9 year sentence was appropriate. "The fact that this manslaughter occurred in the context of a spousal relationship was identified as aggravating in nature by the Crown." Bellegarde and Quewezance had been drinking in the hours leading up the killing, according to an agreed statement of facts. The two left a home on the Little Black Bear First Nation to cash a cheque at a convenience store on the night of Dec. 14, 2016. Quewezance was observed buying alcohol shortly after the cheque was cashed. They made one more stop before coming to a halt on a back road. The statement of facts said Quewezance drove off in a Chevrolet Tahoe and Bellegarde followed on foot. Bellegarde caught up to the truck while it was in a ditch on the back road and the two were arguing and insulting each other. "He said his next memory was that Lauren was on the ground and he was kicking her in the face while she asked him to stop," the documents read. "He admitted her face was badly bruised up but stated, 'I didn't know how badly I hurt her'." Bellegarde later left Quewezance on the road and walked back to his parent's house after she was unable to get to her feet. An autopsy said Quewezance died any where from ten minutes to an hour after the violence. Bellegarde's sister said he showed up at the house alone around 4 to 4:30 a.m. where he said he may have hurt or killed Quewezance. Bellegarde asked his sister not to call an ambulance so he could return to the scene. He returned to the home about 45 minutes later and told his sister that he believed Quewezance was dead. Bellegarde said he attempted CPR on Quewezance but blood came out of her nose and mouth. That's when Bellegarde's sister dialled 911. Bellegarde was prohibited from consuming alcohol at the time of the killing. He claimed that it was the first time he consumed alcohol during the prohibition. He is a member of the Piapot First Nation but was primarily raised on Little Black Bear. Bellegarde grew up in a "dysfunctional" home, according to his pre-sentence report. His parents did drugs and alcohol and he repeatedly saw his own mother beaten. Bellegarde said his earliest memory of abuse was when he was 10 years old. At age 14, he said he finally stood up to his father, who then became indifferent toward Bellegarde and the abuse eventually stopped. Bellegarde's father was forced into residential school where he was abused. His mother was also abused at a Catholic day school on the Pasqua First Nation. Bellegarde has expressed remorse for killing Quewezance, the mother of his child and his "rock." Bellegarde has said the memory of her violent death "never goes away. Every day I still see it."